The Home is the most important place where the family members feel more safety and stability. But, there are several possible hazards that may lead to the occurrence of accidents for many reasons such as ignorance and not taking care of prevention and safety measures in the houses in general, and during the holy month of Ramadan in particular. 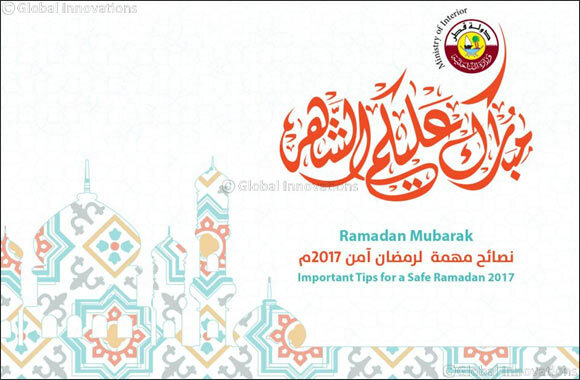 We provide you some advices and guidelines on home and road safety during this month of holy Ramadan. It is preferred to start early before the Iftar time as the period before Iftar is considered as the most vulnerable time for traffic accidents during the holy month of Ramadan. Don’t let the children play in the internal roads of the residential areas especially during the night time in order to ensure their safety from traffic accidents. Allow them to play only at designated areas for playing. Wrong Parking: Please avoid parking of vehicles obstructing traffic movement on the road, especially during the night prayer timings like Taraweeh or Qiyamullail prayers or Iftar gatherings. Collision Accidents: Before crossing the road, please ensure that the road is completely free from vehicles on both sides, especially during peak hours and cross the road only through designated areas for crossing. Shopping: Please avoid last day shopping for Ramadan and Eid and finish it early enough to avoid traffic jam and parking at no parking areas because of huge rush on the roads. Karangao Night: The Qatari society celebrates the local fiesta of “Karangao Night” on 15th night of Ramadan. Hence, please be extra cautious while driving on roads as the children will be walking around residential areas to collect the sweets and gifts offered by neighbors and take enough safety measures in order to avoid traffic accidents. Begging: Begging is considered as a reprehensible behavior. If you watch somebody begging, please report to Anti-Begging Section at Criminal Investigation Department of the Ministry of Interior on 2347444 / 33618627. The approved charity organizations are the official agencies in the country to help the needy and poor people. Emergency: In case of any emergency don’t get scared, but act wisely and immediately call emergency No . : 999. Please remember always your address such as house no., street no. and zone no. The foodstuff has been kept in a clean and closed place or in the refrigerator. The place and the food is clean and neat whenever you dine out. Ensure that a good fire extinguisher is available at your home. Don’t leave the children in the kitchen or nearby hot and burning materials or electrical power sources. Don’t put on flowing dresses or nylon mixed wears in the kitchen in order to avoid catching fire. Avoid pouring water into an oil pan as it ignites the fire and cover the burning pan by placing the nearest thick lid on the pan or cover it with fire blanket. Cover the burning trash bin immediately with a damp cloth in order to prevent oxygen from igniting the fire. Immediately open all doors and windows to reduce concentration of leaked gas. Avoid switching on the exhaust fan for ventilation and don’t switch on lights as they may serve as points of ignition to the highly inflammable gas. Never use a burning matchstick near a gas cylinder to locate the place of leakage.